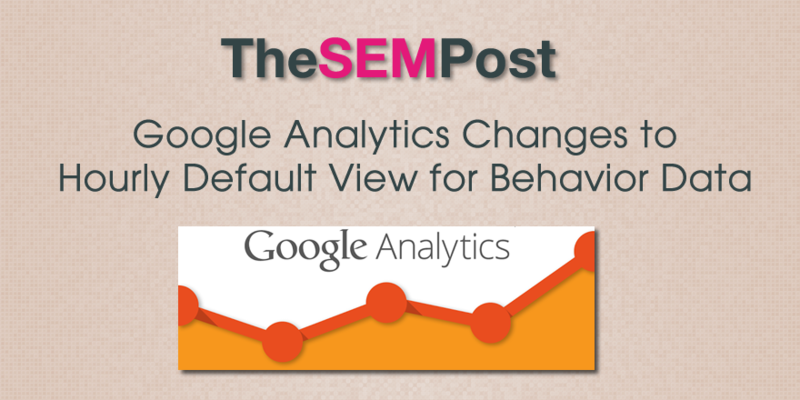 Google Analytics has made a new default change that details hourly page views when viewing a single day’s Analytics data in the behavior tab. Until now, Google’s default view from the behavior page is the “Day” option, although the option to view hourly has been available. Now, it defaults to the “Hourly” option, but only if you select a time period of up to 4 days. Once it is 5 days or higher, it switches to the day default, and the “Hourly” option no longer works. Here is an example of the hourly view. This is a nice change as many people weren’t even aware that there was an hourly option. Viewing the hourly option is a great way to determine things such as when you should be posting new content to your site based on when the most visitors tend to go on the site or when marketing efforts should be concentrated. It is just a minor change but one that many people will notice, particularly if they have never explored viewing the Analytics hourly data before.